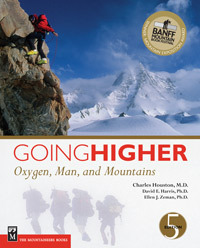 From the time of his historic expedition to Nanda Devi in the high Himalaya, Charles Houston, M.D., has been fascinated by the effects of altitude on the human body. Why do people get sick in the mountains? What are the symptoms of hypoxia-lack of sufficient oxygen-that also occurs in everyday life, sometimes chronically due to disease? How can we decrease the incidence of illness and death?